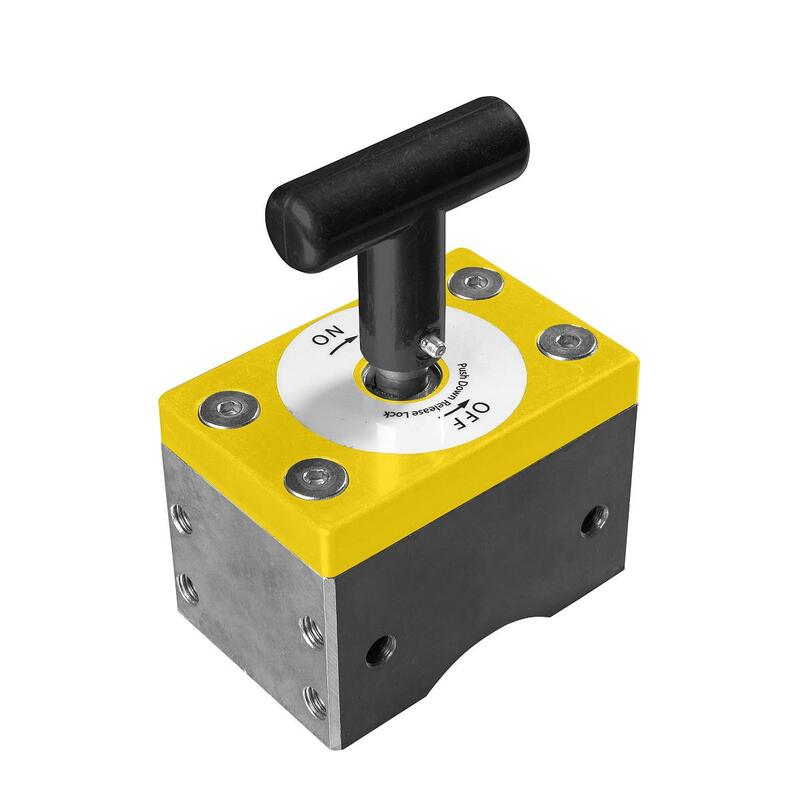 Magswitch on/off magnetic workholding squares. For use in welding, woodworking or anywhere steel is used. 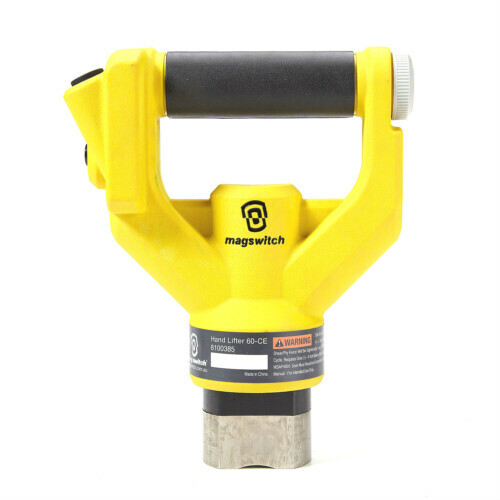 MagSquares exert a strong magnetic hold on 3 sides, and provide fast and easy multi-plane workholding for positioning steel. 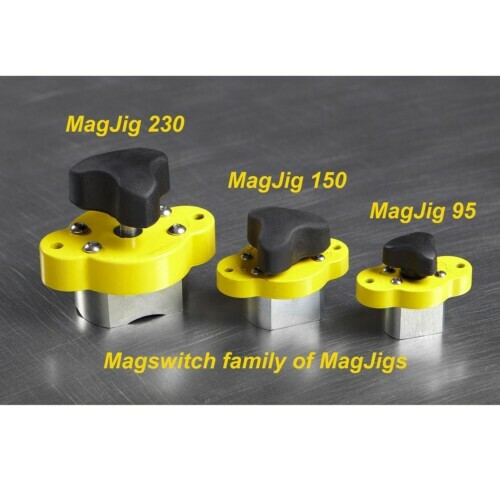 Magswitch MagSquares open a powerful magnetic field with a simple 180-degree turn of the knob. 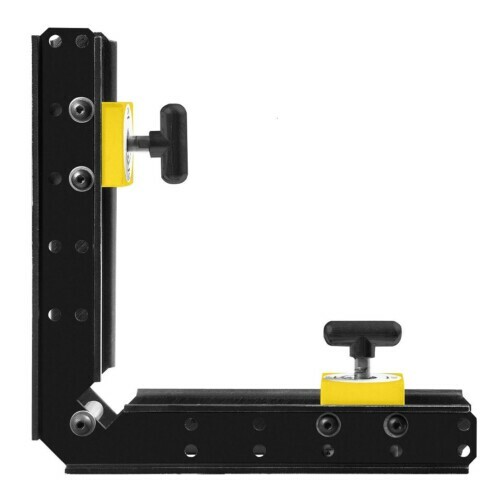 Machined at 90 degree angles, MagSquares are ideal for fixturing and offer many uses: level sheet, support, stop, guide, mounting base; the uses are endless. A must for every fabricator and welder. Featuring the patented Magswitch® technology for complete on/off control, super strong, precise positioning. Holds flat and round steel.